(TRR) – Disturbed are extending their Evolution World Tour. The band have added second North American leg that kicks off on July 21 at the Mankato Civic Center in Mankato, MN and wraps up on October 11 at Chaifetz Arena in St. Louis, MO. Special guests for the run will be Pop Evil and In This Moment on respective dates. Tickets for Disturbed’s tour go on sale to the general public beginning Friday, March 29th at 10:00AM local time HERE. Citi is the official presale credit card for the tour, and Citi cardmembers will have access to purchase presale tickets beginning Wednesday, March 27th at 10:00AM local time until Thursday, March 28th at 10:00PM local time. 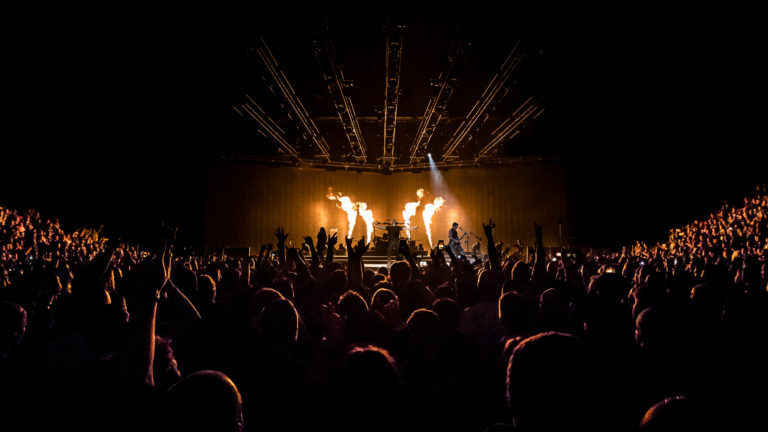 Every ticket purchased online for Disturbed includes your choice of a CD or digital copy of the band’s latest album Evolution. You’ll receive instructions via email on how to redeem your album after ticket purchase. A limited number of VIP tickets will also be available. Disturbed’s seventh studio LP Evolution (Reprise/Warner Bros. Records) debuted at No. 4 on the Billboard Top 200, as well as No. 1 on both the Billboard Rock and Alternative charts. The post Disturbed Announce Second Leg Of Evolution Tour appeared first on The Rock Revival.